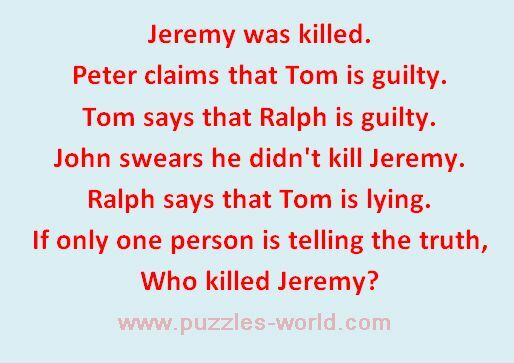 Peter claims that Tom is guilty. Tom says that Ralph is guilty. John swears he didn't kill Jeremy. Ralph says that Tom is lying. Ralph is telling the truth, "Tom is lying". 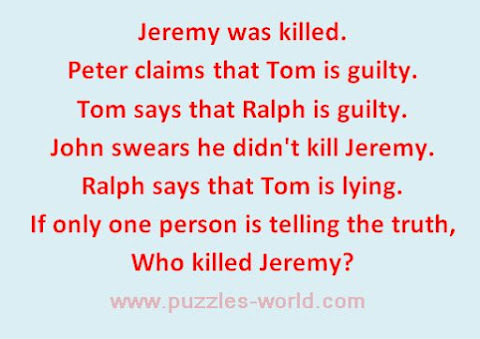 Hence Tom is lying about Ralph being guilty. John is lying about he being innocent, hence he is guilty.